One Game Of Thrones Character Is Getting A Bold New Costume... But Why? 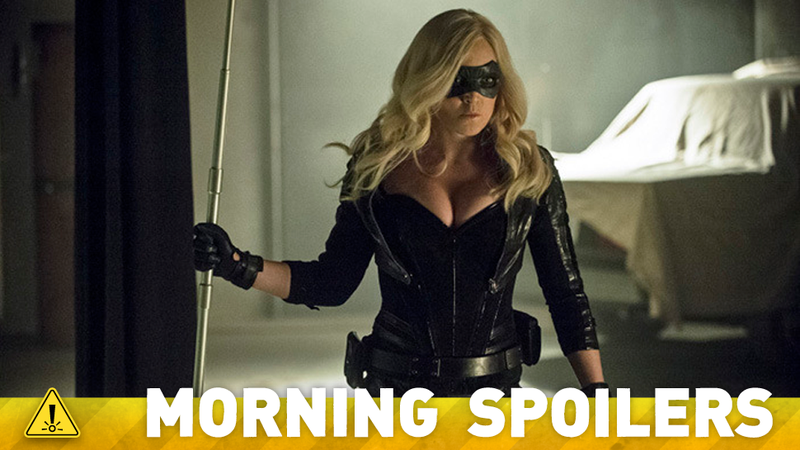 Do we finally know the name of the Flash/Arrow spin-off? Take a blurry look at Star Wars' Kylo Ren, and a great look at Age of Ultron's Vision. Could the new Agents of SHIELD spinoff be bad news for Agent Carter? The Flash may be introducing a new DC hero to TV. Plus hints for Outlander and iZombie. Spoilers Now! Sansa Stark (Sophie Turner) Last year, Sansa dyed her hair dark, as if to signal her debutante status in the world of lies and maneuvering. This season, however, she is full-force Dark Sansa, and has graduated to actively participating in a scheme that could potentially upset the current balance of power in a big way. No deceitful diva would be complete without a wardrobe to match, so expect to see her in a dress that's, well, to die for. Move over, Cersei. The realm has a new, younger femme fatale whose lineage inspires loyalty. The North remembers. Cersei Baratheon Life after the death of Tywin Lannister (Charles Dance) means that Cersei can make most of the crown's decisions unchecked, especially since her son, King Tommen (Dean-Charles Chapman), is naive enough to be easily (mis)led. She's not the mastermind her father once was, however, and a new alliance she forges soon gets out of hand due to her shortsightedness. The Ogre is a serial killer who seduces, kidnaps, tortures and kills women in the never-ending pursuit for a partner. He finds these women and let's just say they don't meet to his exacting standards. He's a true psychopath. He's remained at large for years because he protects himself. Any cop who takes on his case, the Ogre targets the loved ones of that cop. The cop will end up with his wife's throat cut, his girlfriend dead and things like that. So, no cop touches it. It's basically become a dirty little secret of the GCPD. Jim, when he ends up in contact with the case, and he ends up with it in an interesting way, he's a hero and can't put it down. For him, not to pursue the case would be to have the blood of future victims on his hands. So, he's put in a perilous position where he knows that the women in his life could be targets. It creates a strain in his relationship with Tompkins [Morena Baccarin]. It will have dire consequences moving forward. The first time we met [May] in the pilot, she was doing her office job. You know, sitting there completely shut down, going through stacks of paperwork. And even to look at where she is now in our show versus a season and a half ago, to see what turned her into that person… it’s always fun when you can find a compelling backstory that feels like it’s still driving the present story. Also, in episode 15, Skye disappeared with Gordon. Where did they go, and what’s that about? We have trouble fitting all this into our timeslot, but there’s a lot of cool stuff on Skye’s end as well. Speaking of SHIELD, Deadline's roundup of TV shows in danger of cancellation mentions that the existence of a new Agents of SHIELD spinoff could well mean that Agent Carter might not return to fill in the game between SHIELD's third season broadcast blocks, since the new show could take its place. Lucy Griffiths has been cast as Emily Woodrow. Deadline describes her as a "waitress, the church organist, bookkeeper and Jesse's loyal right hand. Stoic and strong, wise beyond her years, she can’t help but have a little thing for Preacher Jesse." "Not on my end, no," he says. "As far as I understand, they're already back to work and have broken their stories. Maybe they'll mention the Petrellis, but I don't see it happening that I would be revisiting. Just not gonna happen." The tussle over the budget emerged after Lynch and Frost turned in the nine scripts they co-wrote and it became clear that the cost of production would be significantly higher than the budgets outlined in the original deal. Sources said Showtime was willing to kick in more coin but asked for concessions in other areas, including the profit participation definitions for Lynch and Frost. Lynch had been on board to direct all nine episodes. Frost is said to be committed to the project and was also taken by surprise by Lynch’s public statements. 'TVLINE | Where does the new season find Gracie and Mark? THE TIES THAT BIND — A group of teens get a scare when a disheveled young pregnant woman approaches them muttering for help. Unfortunately, the woman doesn’t survive but her baby does. Liv (Rose McIver) and Clive (Malcolm Goodwin) begin questioning suspects in her murder, and after consuming the victim’s brain, a fierce maternal instinct kicks in for Liv. Meanwhile, Major (Robert Buckley) makes a shocking discovery. LOOMING DEADLINES AND ENTICING PROPOSITIONS — When Dahlia (guest star Claudia Black) devises a clever way to get Klaus’ (Joseph Morgan) attention, she reveals some startling details about baby Hope and leaves him with an enticing proposition to consider. Elsewhere, while Elijah (Daniel Gillies) and Freya (guest star Riley Voelkel) find themselves with opposing views on how best to handle Dahlia’s looming deadline, Rebekah (guest star Maisie Richardson-Sellers), Davina (Danielle Campbell), and Cami (Leah Pipes) work together to come up with their own strategy. Meanwhile, following a tense stand-off between Elijah and Jackson (guest star Nathan Parsons) in the bayou, Hayley (Phoebe Tonkin) is left to make a difficult decision about her and Hope's future. Finally, Vincent (Yusuf Gatewood), who is eager to leave his witch past behind him, approaches Davina with an offer that leaves her intrigued. THE FIRST HORSEMAN IS REVEALED AND VERA DISCOVERS HER GIFT — On the hunt for the Horseman of War, Joshua (Jon Fletcher), Erin (Sofia Black D’Elia) and Peter (Joel Courtney) make great strides for the group. Raul (JD Pardo) and Vera (Shantel VanSanten) are more hesitant to believe and when they stray, there are unforeseen consequences. But when Vera discovers her gift, she finally starts to re-think her purpose. CLAIRE NOVAK RETURNS — When Claire Novak (guest star Kathryn Love Newton) gets a lead on her mother, Amelia (guest star Leisha Hailey), who has been missing for years, Castiel (Misha Collins) asks Sam (Jared Padalecki) and Dean (Jensen Ackles) to help her. Castiel feels guilty for what he did to the Novak family and wants to make amends by reuniting Claire with her mom. However, when they find out what took Amelia, they realize there is a chance Claire may not get her happy ending.